In 2018, the Newsboys Foundation celebrates 125 years of supporting young people in Victoria. 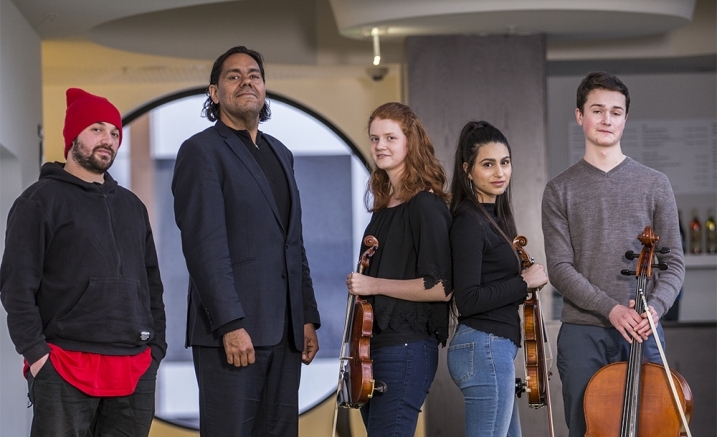 To mark this milestone, Outer Urban Projects, Melbourne Youth Orchestras and composer and didgeridoo virtuoso William Barton present an uplifting concert that champions the power of youth, music and diversity. Combining an orchestra, rappers, beat boxers and gospel singers, the impressive program features orchestral works from Jean Sibelius, Gustav Holst and contemporary compositions and arrangements by William Barton, Irine Vela and Outer Urban Projects artists. Celebrating 125 years of Newsboys Foundation.